You've heard it a million times before, and you better get used to it - I. LOVE. WORKSHOP. WEDNESDAYS. I look forward to shooting this event every month - to be in a beautiful community, to learn different crafts through osmosis, and to meet fellow small business owners. The days are getting longer which means more light and ways to play with capturing this event! This episode brings a double dose of creating rope vessels! Brittany graced us with her talent and skill, teaching us how to make baskets from the biggest spool of rope I've ever seen. 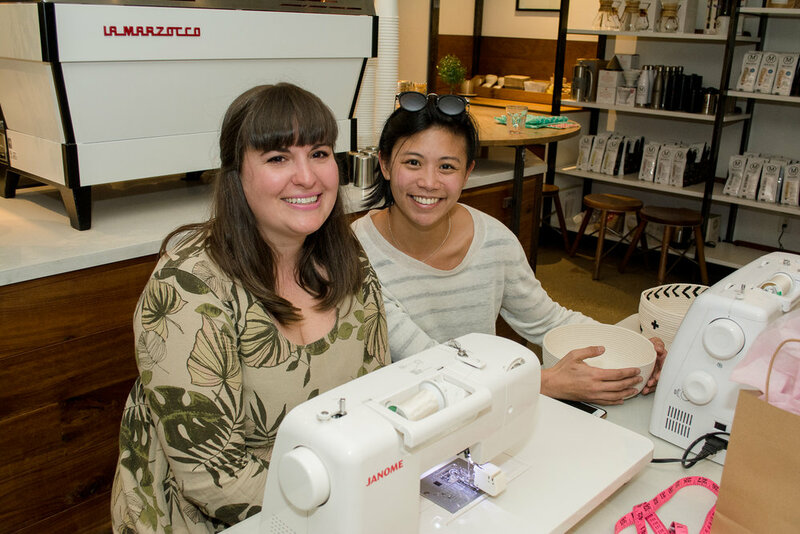 Due to limited space and the seemingly impossible task of having enough sewing machines for everyone in the workshop, there were few seats, but because of high demand - why not run it twice? I love that though given the same materials and task, every person creates something that is uniquely theirs. Everyone's personality shined through their basket - whether it be through colourful pompoms, a minimalist aesthetic, or simple rectangles! 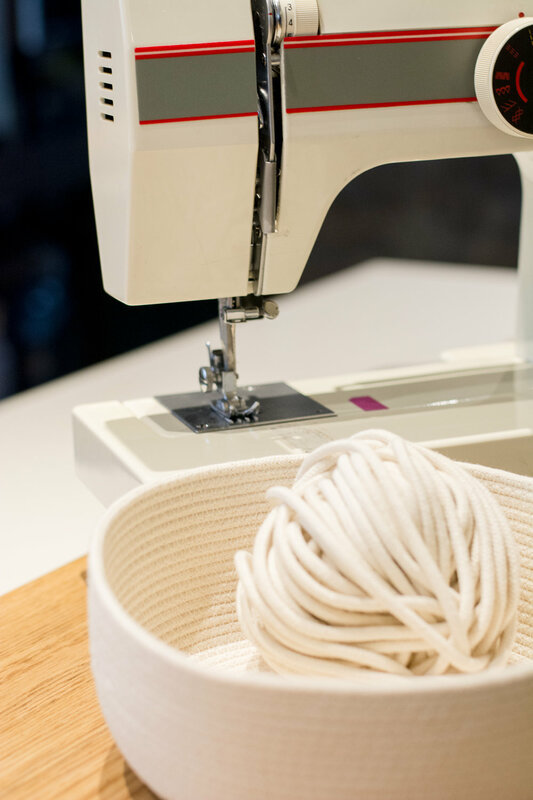 The biggest thing I learned from this experience is: sewing machines are fickle things. Though frustration could have prevailed, it was amazing to watch women help each other, share machines, and battle through the ups and downs. In the end, some may have walked away cursing sewing machines forever, but still had a great time laughing and creating. 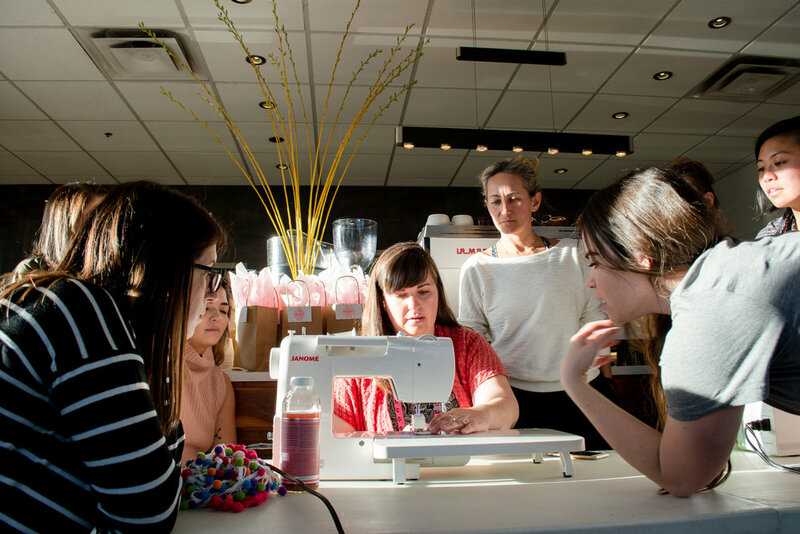 As always, big ups to the organization queen and sewing machine procurer of our generation, Crissy Tioseco, for running these workshops and keeping us all learning and growing. Jelly of these cute rope baskets? Follow @motherofpearlhandmade to find out about more of her workshops and what stores carry her rope vessels! 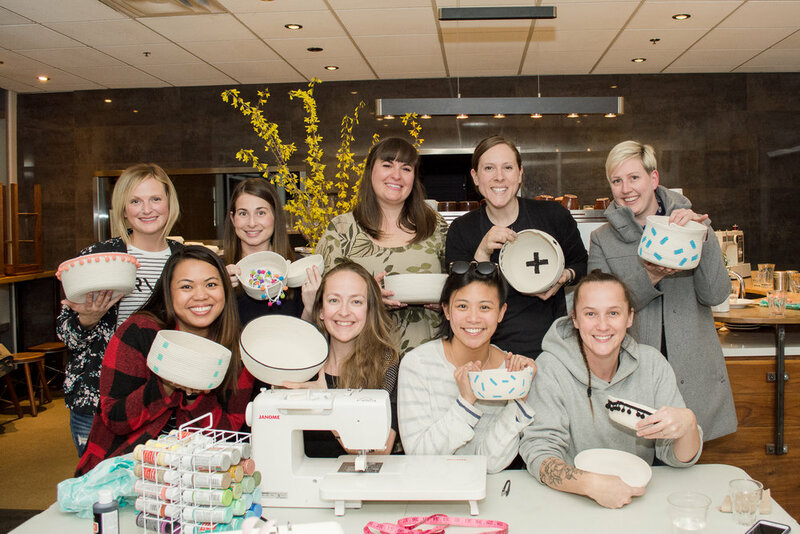 Follow @workshopwednesdays.ca for monthly craft workshops and dope times!